World Coin Collecting: What are KM Numbers? Once you start to explore the world of foreign coin collecting, you'll inevitably run across KM numbers (frequently abbreviated "KM#"). Collecting sites like Numista and World Coin Gallery list them prominently in their search results. eBay auctions for individual foreign coins frequently contain them. NGC's World Coin Price Guide includes them in its results. And if you ever tried to trade coins with someone with more collecting experience, they probably asked for, or gave, a KM number when describing a coin. KM numbers are a numbering system for world coins created by the authors of the Standard Catalog of World Coins - Chester Krause ("K") and Clifford Mishler ("M") - which was first printed in 1972. The authors very astutely realized that it would make it easier for collectors to use their reference guide, and to be able to discuss specific coins, if there was a shorthand way of identifying a specific coin (instead of saying "The second type of the India 25 paise coin from 1967"). Notice that for the coins starting in 1973, the KM numbers follow the denominations - 1/5, 1, 5, 10, 20. 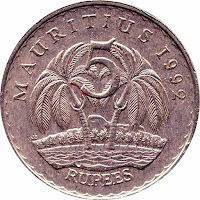 Then in 1974, the 1 Ouguiya changed its design slightly and was given a new number (#6). When a coin gets a new design (even a slight change), it usually is given a new number. In Great Britain, the pound coin cycles through different reverse designs to signify the 4 members of the United Kingdom (Great Britain, Scotland, Northern Ireland, and Wales). Each of these reverse designs is given its own KM number. Sometimes, a small design change receives a decimal-point number ("214.2") instead of an entirely new number. When a coin's composition (the metal that it is made of) changes, however, it usually does not get a whole new KM number (as long as the design stays the same). Instead, a letter is added to the KM number to signify the change in materials. For example, Singapore's KM#1 is the 1 cent coin made of bronze; the copper-clad steel version is KM#1a. As you can see from this example, in many cases the KM number is actually unnecessary to identify a specific coin. 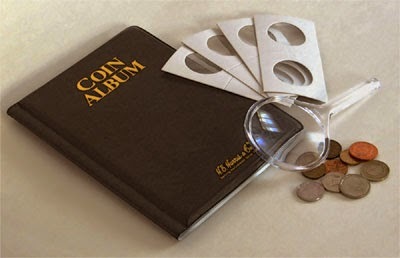 The country, denomination, and year are sufficient to pinpoint the coin being discussed. The most crucial use of KM numbers occurs when there are multiple designs for a single year. 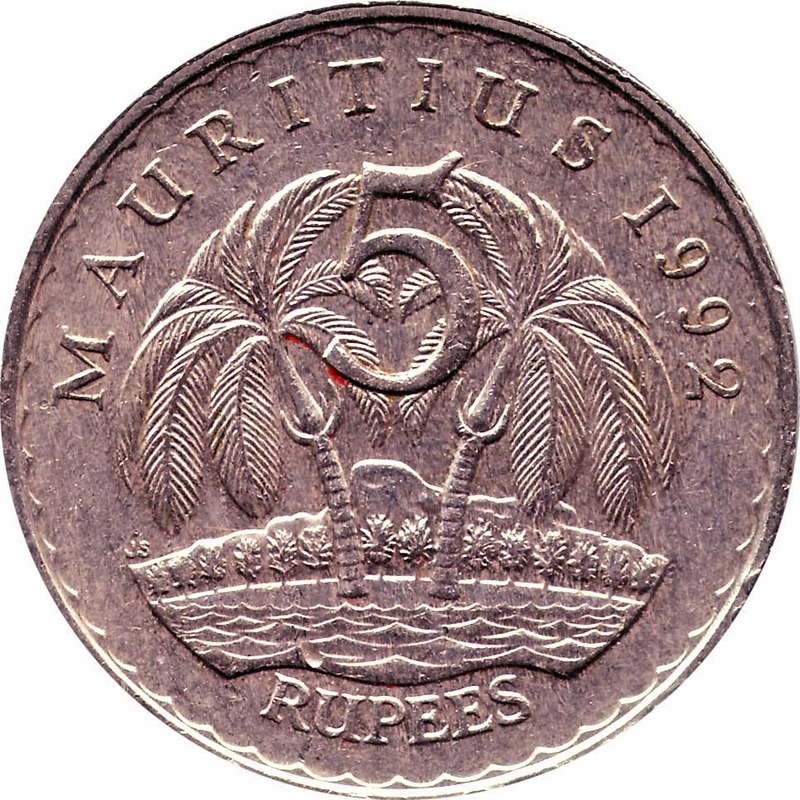 For example, the India 10 paise coins between 1988 and 1993 were issued in 2 different styles - a scalloped coin (KM# 39) and a plain round coin (KM#40). In this case, using the KM number would help communicate which coin you are referring to. Because of the way the numbers have to be assigned, KM numbers are not very useful for organizing coins in a collection. Numbers that are close to each other could represent different designs of the same coin, or completely different coins. If you stored your collection in KM# order, it would probably look a little funny. And it is very difficult to find a coin in one of the Standard Catalog of World Coin books by KM number and country alone, because the catalog is organized by denomination and year. However, it is common to write KM numbers on the coins in your collection (usually on the back of your protective coin flips) so that, should you need to know them, you don't have to repeatedly look up the coins in a catalog.